Cherry City Kitties : Attention all Tabbies! My goodness Lily Olivia would be a purrrrrrrfect member of the TCC! Can you email our "office" at cherrycitykitties AT yahoo DOT com and we'll get you started! We wish you all good luck for sure! Hey, Harry I posted about you on our blog! Sweet! On my way! H.
We think all kitties should join. Have fun with the TCC. Have a wonderful Wednesday. 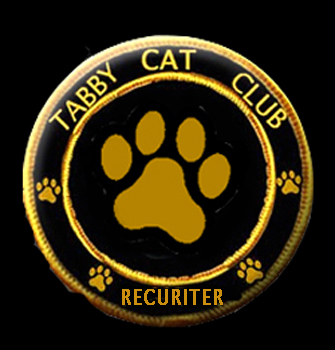 I would like to nominate my buddy, Tigger, but as he's a visitor and I don't know his real name, he might not be acceptable!! If he would like to join us, we would be honored to have him, see if he's willing, I'm sure he'll have some interesting tails to tell... Heck I didn't even have a name when I gots rescued and then mom changed it when they brought me home, what's in a name, eh? 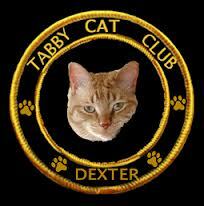 yes, I'd love to see Tigger join. 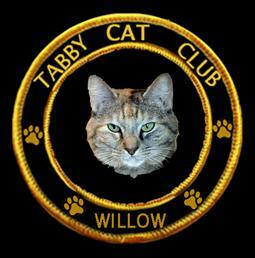 I'd like to say welcome to the Tabby Cat Club to Dexter and Willow. I know y'all can get us there! Hey, did you get the lead I emailed to you? We joined but don't see Odin on the list. Are we blind? He's there Miss Layla, He's the big # 7-0h! I'm here... i'm here to sign up... I got you message on fb and my human took a while to reply... but i'm here now! I'm not a tabby, but I hear they are great mousers! I'm an orange and white tabby with the M and the most beautiful rings on mai tail (so says my momz). I followed you, does that mean I joined? Allie: *eyeroll* BOYS. We hope your recruitment goes well! We'd be happy to join if any of us qualified, but we're just a bunch of tuxedos or temperature-sensitive albinos over here! I is a doggie. Tee hee. :) Congratulations to u. Hey kitties - so very nice to meet you! I am very glad Mr. Brian suggested me to come and join the club and that you sent me the email to join! I must say you're doing a great job at recruiting :) Can't wait to learn more! Thanks.